These low-impact cardio workouts are proof that you don't have to run if it makes your body feel like jello. These routines are just as good for you. Running doesn't have to be your thing if you hate it — and a lot of people have valid reasons for hating it. Not only is running a challenging cardiovascular workout, but it also can feel tough on joints and muscles. And any workout or exercise regimen that makes your body feel worse is probably not worth your time and energy. Part of the reason why running is particularly painful is because it's considered "high-impact" cardio exercise. 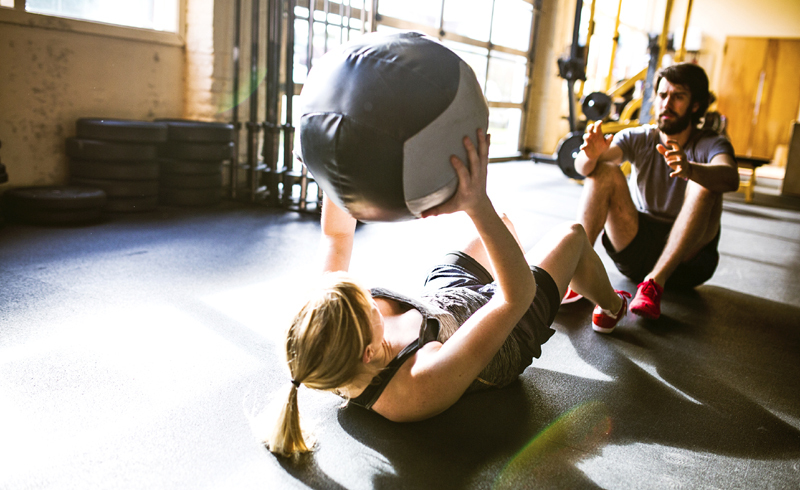 In the context of exercise, "impact" refers to the amount of force the body must endure. As you trot along the pavement or a treadmill, your body has to bear a lot of force over time. But just because you detest running doesn't mean you should write off cardio workouts altogether. Cardio improves your endurance and aerobic capacity, plus helps you deal with stress. And the good news is there are plenty of low-impact cardio workouts that you can do to reap these same benefits, without the accompanying aches and pains. Not sure which workouts or machines "count" as cardio? Here are some low-impact cardio workouts to consider, as well as links to workouts that you can try next. The elliptical machine is an underrated tool that allows you to work your entire body — core, legs and upper body — in a low-impact environment. The key to getting in a challenging workout on the elliptical is varying the amount of resistance and incline you use. Here's how to do that. Water naturally adds extra resistance on your muscles, which is one of the reasons swimming is such a great strength-building workout. Swimming also benefits your heart health and, of course, is easy on your joints. If you don't have a lap pool at your disposal, consider taking an Aqua Zumba or underwater cycling class. Whether you're a devout SoulCycle rider, or prefer riding a real bike around the park, cycling is ideal because it's not exactly a weight-bearing exercise (unless you're riding out of the saddle), but still works your leg muscles and core. Don't dismiss your walking commute or strolls with your dog — walking totally can be a form of cardio. Long walks through nature (or, even a walk on the treadmill) can be like meditation, because it allows you to be more aware of your surroundings. A jump rope is a cheap workout tool that you should definitely have in your home gym. Slowly jogging on a jump rope, or even walking over one, is a fantastic way to warm up before a work out, or squeeze in a fun cardio session. As anyone who's left a boxing workout class out of breath can attest, boxing is a powerful aerobic exercise. Although your feet usually remain planted on the ground, throwing punches raises your heart rate and builds upper-body strength. 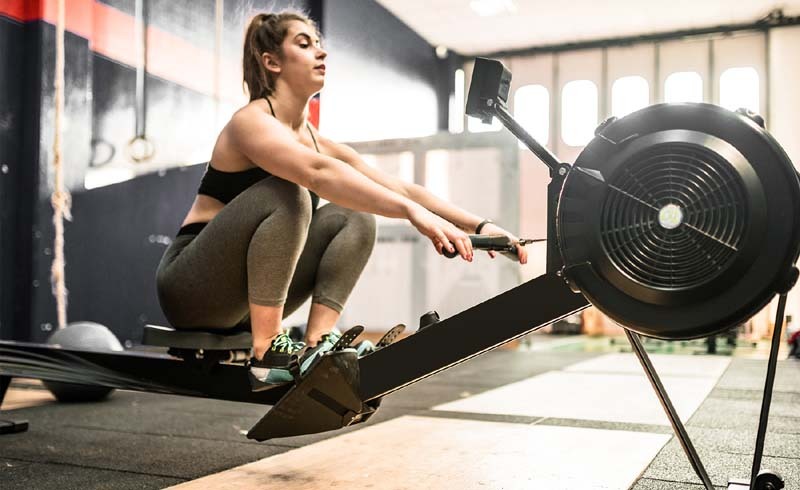 You don't need access to a body of water to try a rowing workout; most gyms have rowing machines (aka "ergs") that mimic the motions of rowing on a boat. Rowing is a surprising total-body workout that's done seated, so it's naturally easy on the joints. If you're not sure how to use an erg, consider taking a group rowing class.